Lee Cooper férfi dupla cipzáras mellényThe Lee Cooper 2 Zip Gilet is designed with a padded construction that makes ideal for layering, a full zip fastening, ribbed collar, hood and two snap fastening pockets. It features a soft lining and is finished with embroidered Lee Cooper branding. 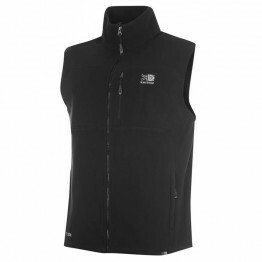 > Men's..
Karrimor férfi polár mellény Stay warm with the Karrimor Fleece Gilet . Benefiting a full length zip fastening and high collar to provide extra warmth. The Karrimor Fleece Gilet features three zipped pockets providing you with ample storage for your belongings. > Karrimor Fleece Gilet.. Soul Cal 2 Zip Gilet MensEnsure warmth wearing the Soul Cal 2 Zip Gilet. This double layered zip front has a plush fleece lining for warmth, in combination with a faux fur trimmed hood and highly padded construct for great comfort, whilst keeping up a fashionable style. > Men's gilet> Double l..
Lee Cooper Denim Detail Padded férfi dzseki ..
Lee Cooper férfi kapucnis mellény This Lee Cooper Sweater Hooded Gilet will keep you warm when the weather turns chilly. 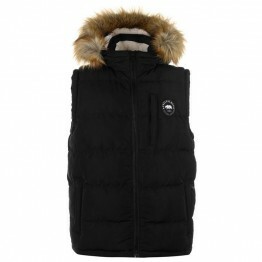 Designed with a padded construction which features a fixed hood with drawstring adjusters, ribbed hemline and a full length zipped fastening located to the front for a secure, pe..
Jack and Jones Original Bend férfi mellényThis Jack and Jones Original Bend Gilet is a sleeveless style with full zip fastening. It features a hood and is a padded, 2 pocket design. This gilet is a lightweight construction in a block colour. It is designed with a printed logo and is complete with Ja.. Soul Cal 2 Zip Gilet MensEnsure warmth wearing the Soul Cal 2 Zip Gilet. This double layered zip front has a plush fleece lining for warmth, in combination with a faux fur trimmed hood and highly padded construct for great comfort, whilst keeping up a fashionable style. > Men's gilet> Double layered..
Slazenger Padded férfi mellényThe Slazenger Padded Gilet is a quilted design that's great for your next golf game. It features a full zip fastening with high neck and two zip pockets for storage. The Gilet is lightweight with two inside pockets and Slazenger branding to complete the look.> Men's gol..
Adidas Prime Golf Vest Mens The Adidas Prime Vest is a must have for your golf wardrobe. It's a sleeveless style vest with a full zip fastening and high neck. The chest and upper back have a quilted design and the inside is lined with fleece for warmth. The vest is crafted with Climaheat technology ..
Karrimor Hot Crag férfi mellény The Mens Karrimor Hot Crag Gilet offers a warm and comfortable fit thanks to a zip fastening front and lightweight insulation, completed with stitched detail and the Karrimor branding. 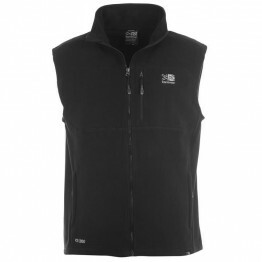 > Mens gilet > Full zip fastening front > Lightweight insulation > Stitched detail .. Hot Tuna Gradient férfi mellény Look the part whilst staying warm with this Hot Tuna Gradient Gilet. Crafted in a sleeveless design, this gilet features full zip fastening. It is hooded and has 2 zipped pockets for the storage of smaller possessions. This gilet is designed with a gradient and is co..
Pierre Cardin Padded férfi mellény This Pierre Cardin Padded Gilet is padded and has full zip up fastening. It has a button fastening panel over the zip and a zipped chest pocket. This gilet has 2 button fastening hand pockets and is complete with Pierre Cardin branding.> Mens gilet> Padded> Full z..